Three is almost a magic number in the Bible. It is seen as a number of completeness, wholeness: Unity. Even before creation, we see unity displayed through the Holy Trinity; the Trinity pre-existing as the Maker of the universe. C.S. Lewis said, “All sorts of people are fond of repeating the Christian statement that "God is love." But they seem not to notice that the words 'God is love' have no real meaning unless God contains at least two persons. Love is something that one person has for another person. If God was a single person, then before the world was made, He was not love." As we see, God’s love and unity go hand in hand. In fact, the greatest form of unity we will ever see is through the Trinity! It is the most complete form of unity that there is. God the Father, God the Son, and God the Holy Spirit coming together to form the most perfect example of Unity that has ever existed. It is because of the Father’s love for us, Jesus’ death on the cross, and the Holy Spirit dwelling in us that we are able to be in unity with God. Unity is important because it is one of the most basic functions of God. 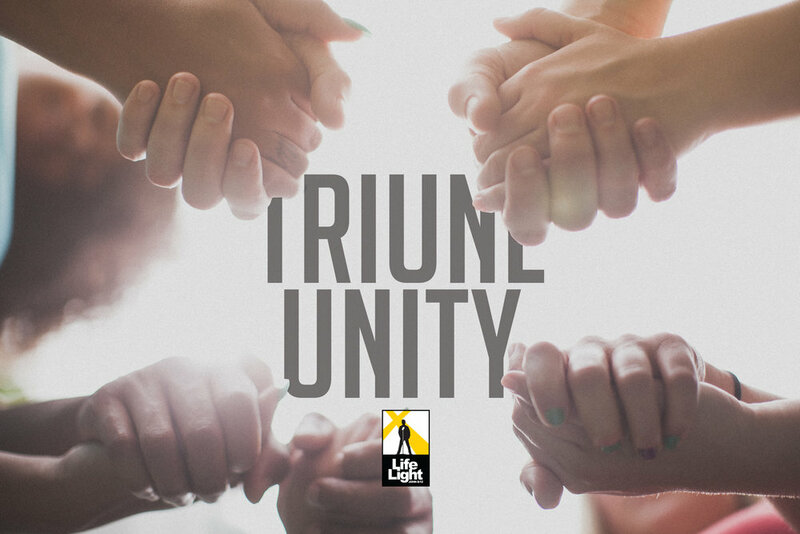 All three parts of the Trinity work together to allow us to be in Unity with Our Father. Once we accept Christ as our personal Lord and Savior, the Holy Spirit enters us. It is through this that we are able to be in unity with Christ. Having Unity doesn’t stop there. Not only are we called to seek/be in unity with Christ, but we are also called to be One with our fellow believers. Unity brings forth love and our love should reflect Christ’s love for us. In a way, it is our unity with one another that amplifies Christ’s love for the world. God gave us the perfect example of unity and it is our job to continually share that same unity, not only with God, but also with our brother’s and sister’s in Christ.